McCarn wrote “Cotton Mill Colic” in 1926. Released on record in August, 1930, it was soon being sung by striking Piedmont mill workers. 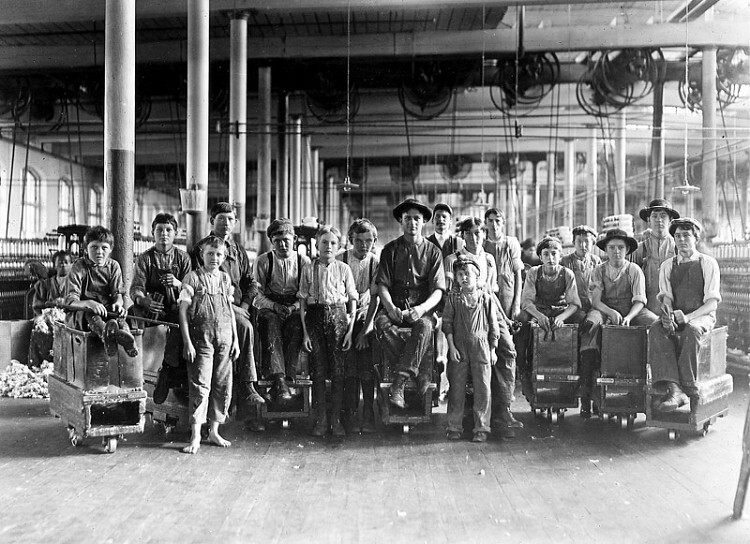 Absolute truth about the lives of mill workers was real to the cotton mill families. Probably it is McCarn’s best composition; revealing with wry humour the often grim situation of the millhand unable to get straight financially. Collectors treat you like measly worms. If you can’t make a payment, they’ll take your clothes. Pecking at your door till they get your pay. ‘Cause you can’t make a living at a cotton mill. At the end of the week you’re not on the level. Can’t get the money to move away. Ain’t had a shave, my wife got fat. The kids get to crying in a different tune. If you don’t starve, I’m a son of a gun. We’ll never rest till we’re in our grave. 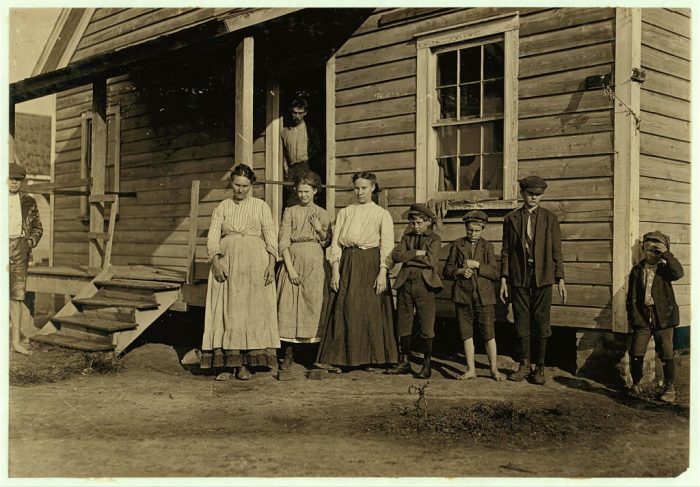 According to the photographer, this Spartanburg family all worked in the cotton mill. 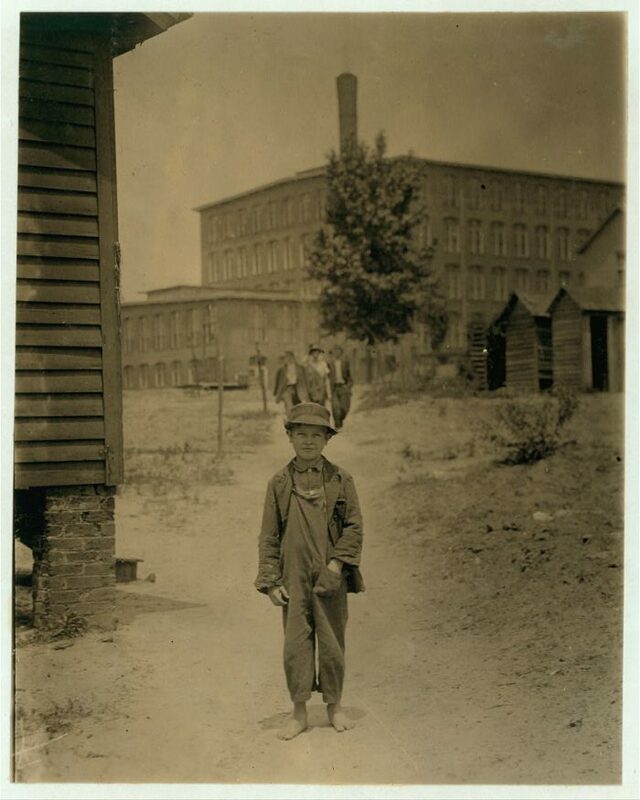 The boy above was Eddie Norton, who worked in Saxon Mill, Spartanburg. He has just completed a twelve-hour shift, along with those behind him. He probably made around 40 cents an hour, but this contributed to the family’s finances. Posted in Uncategorized and tagged "Cotton Mill Colic", Appalachia, kin. Bookmark the permalink. When new mill workers left their homes in the Appalachian mountains. they brought little. A farm wagon carried both the family and their household goods. The mills provided houses to rent, schools for the children, sometimes a rec hall, and a company store. Looking back at his childhood memories, Gerald Teaster recalls the Company Store where his parents worked. The best way to describe the Company Store is to say that it was a smaller version of a Wal-Mart store today. It was way before its time. It had many more items for sale than a typical small town general store of that era. It was a combination hardware, furniture, grocery, clothing, shoe and sporting goods store, all under one roof. There was no other store anywhere close to Pacolet that had the variety and quantity of things for sale that the Company Store had. 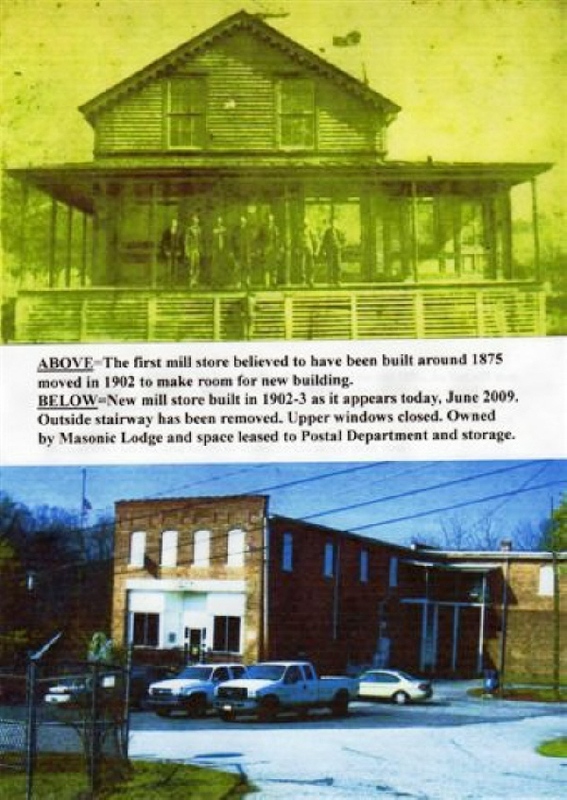 In looking back, there were almost no stores in the city of Spartanburg that had the variety of things it did. Probably, the only store that could have come close to matching it would have been a Sears store. Spartanburg did have a Sears but I don’t think that it was opened until the early 1950’s. When I came to the store with my parents for other things, I always left them to go and look at the sports equipment, particularly the baseball gloves and bats. The store also sold all sorts of fishing equipment, and if I remember correctly, rifles and shotguns, .22 bullets and shotgun shells. I think that you could also order coal for your fireplace and ice for an icebox at the store. During the Depression, the mill sometimes paid their employees with their own script. These paper coupons could be used in the company store just like money. Also, employees could set up a charge account at the store. Charging items one week would be subtracted from their pay checks the next. John’s mother bought most of her staples at the company store at the Union Mill. Lois had a twenty-five pound bin in a kitchen cabinet with an attached sifter, so she would buy that size bag of Martha White flour to fill it up. She bought five pounds of dried beans, ten pounds of sugar, salt, hog feed all in cloth bags. All these cloth bags were recycled into either clothes or household uses. 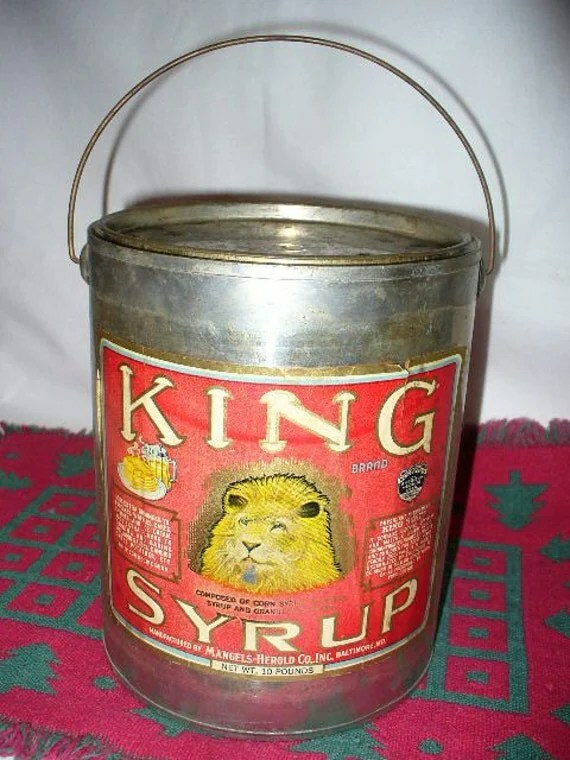 King Syrup was another staple in her household. This maple syrup in a one gallon can didn’t last long with four sons. 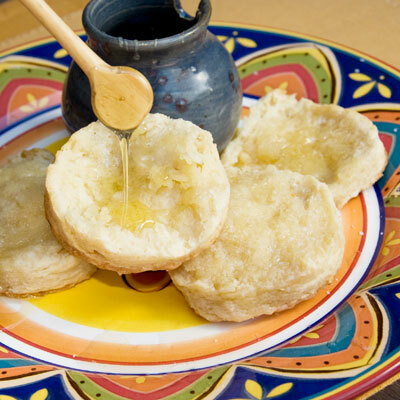 Lois baked biscuits every morning, and they were drenched with homemade butter and syrup. A church key opened the can, and it had to be wiped clean after use to keep the ants away. Sewing notions were a popular item at the company store. Lois bought material, buttons, snaps, zippers, and thread. Using her pedal-driven Singer sewing machine, she was a whiz at creating clothes from her own patterns that she had made from newspapers. Mason jars were another staple in the Ingle household from the Company Store. Lois put up everything from her garden and fruit trees. Then whatever anyone else shared was canned for use later. John and Tom owned a Radio Flyer. Each time, Lois went to the store, the wagon traveled with her. Empty on the way there, but filled to overflowing on the road back home. Isn’t it a good thing when buildings can be restored? I believe I will wonder where the King Syrup and bolts of cloth once were available. Posted in Uncategorized and tagged Appalachia, Company Store, Excelsior Mill, King Syrup, Radio Flyer, The Standard. Bookmark the permalink. I grew up with a Mom who could make the most delicious biscuits. They were always topped with butter and something sweet falling off the sides. Strawberry, blackberry, or peach preserves were my favorites, but molasses, sorghum, or honey were not to be turned down. The biscuits were never big enough. When no one was looking, my brother and I would catch any of those toppings with our tongues or our fingers. It was all too good to waste. English settlers moving into our country brought the practice of bee keeping with them. Long before sugar cones were in the Indian traders’ wagons, honey was always on the table for cornbread, oatmeal, or a drizzle for pancakes. 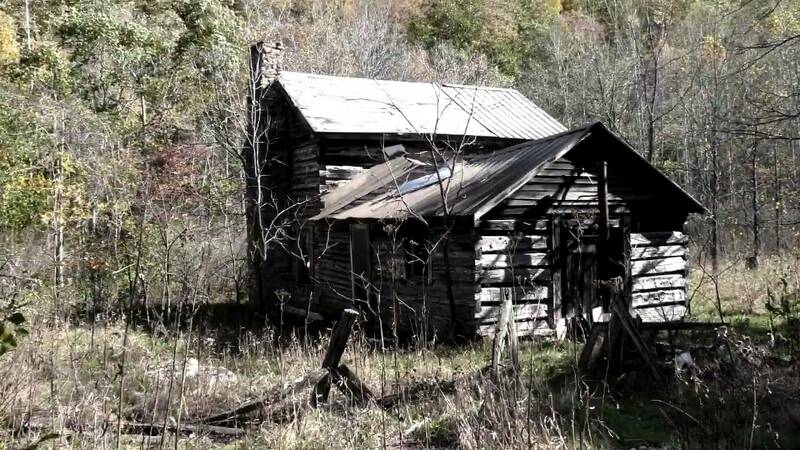 Most Appalachian farms had several hives making honey to eat at home, share with friends in another holler or mountain top, or bartered for other necessities. Tulip poplar, clover, and sourwood became the most popular. Since we had family in Hendersonville, NC, Mother made trips to the farmer’s market there to buy our honey. Labelled and sold in pint or quart jars by the beekeepers themselves, our family treated the honey like the prize it was. She always bought two quarts. Safely stored in a corner cabinet, it was a celebration to bring the jar to the table. Since the study of science is not part of my background, I have been surprised to learn the usefulness of honey. As a sleep aid, cough suppressant, or a treatment for burns or wounds, honey is effective medicine. Some people refer to it still as liquid gold. Since it is been used for over 2,000 years, it seems that it has earned this name. To raise bees is to live close to nature and savor its bounty. 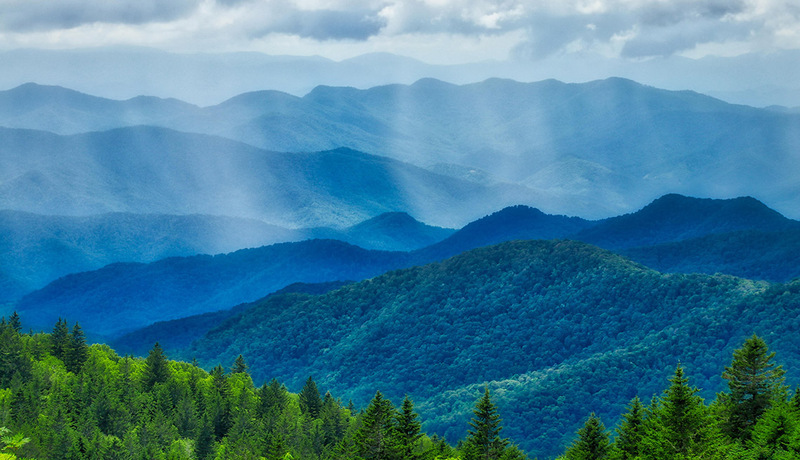 In one of the stories in Tales of a Cosmic Possum (release date October 14, 2017), I wrote about John’s great grandfather, William Gaither Ingle, and the bees he raised on Green Knob Mountain in Erwin, Tennessee, in the early days of the twentieth century. Living off the land was a hard struggle. Every bee hive was important; bears were unwelcome intruders. Above is a photo of William Gaither, his wife Jane Elizabeth, and their daughter Fannie. Perhaps the intensity of their stares speak to their beautiful, but harsh, geographical location. Or they are telling of their hard-working and self-sufficient lives where they are beholden to no man. Then look at how close they are to each other – almost squeezed together. Whether child or adult, Appalachian members stay bound to their family. They are proud of their family. So what is your vision today? Are you going to follow through? Mine was to unjumble some thoughts about Appalachia and make a peach cobbler. It is now to time for the peaches! Posted in Uncategorized and tagged Appalachia, honey, Tales of a Cosmic Possum, Vance Havner, William Gaither Ingle. Bookmark the permalink. I enjoy writing about families; my first books were about strong SC women and their families during the Revolutionary War. Researching that era made me realize the hard lives of two hundred years ago, and walking behind them at their home sites was a pleasure. Then I wrote a piece about my dad’s years at the Citadel and how his junior class was sent to WW II. Interviewing him and his class mates taught me much about that Greatest Generation. Their tightness as friends in their 80’s was forged in their 20’s by their war experiences. Next was an article on two audacious sisters in Greenville, SC who drove to ask Frank Lloyd Wright to draw the blueprints for their new house and he did. Being able to walk in that house and sit in the living room opened my eyes to an architecture that I had previously not appreciated. Having lunch with their contractor and listening to him describe the materials he used gave an invisible depth to this home. I have finished eight short stories about past generations of women in my husband’s family that worked in the cotton mills in SC. One will be published in the Savannah Anthology next month. Though I had met several of them, I had no idea of their challenges as mill workers; this was eye-opening. 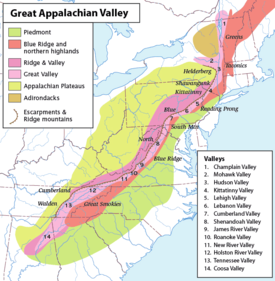 After writing about John’s third great grandfather and three brothers who fought in the Battle of Fredericksburg, I learned much about their Appalachian history. I now have a visual of those tall, lanky, bearded, and blue-eyed men who wore slouch hats and ran into that bloody battle. Last summer, we walked along the Sunken Road where this grandfather died. 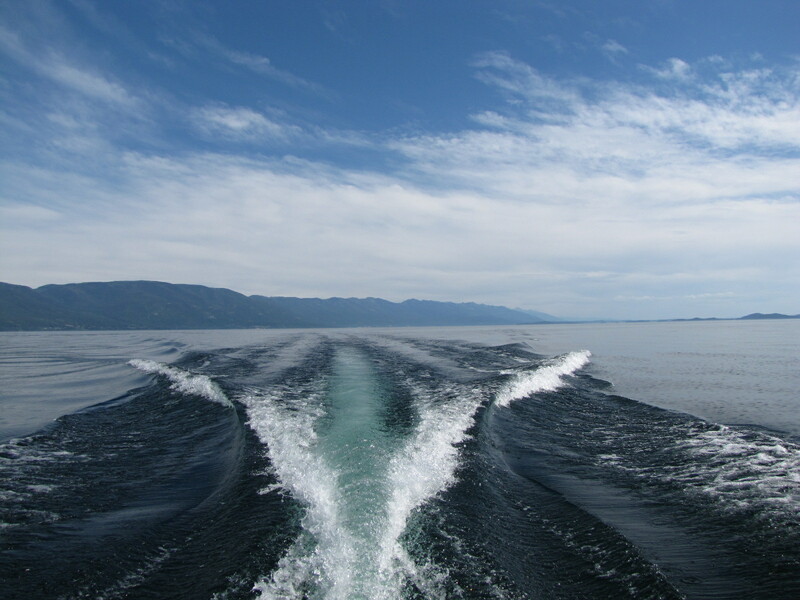 Looking back on these past ten years of retirement, I can see that my focus continues to stay on the same page, as my muse works with me to keep writing family stories. Whether it is my family, your family, or a stranger’s family, they are all going to be a mixed bag of personalities and characters. One of my ancestors is the most famous thief in America, Jessie James. My grandmother always proclaimed he was maligned and more like Robin Hood. I am ready to discover his back story and maybe prove Lulu accurate. We need to share our stories with the next generation. Seven years ago, I found myself the matriarch on both sides of my family. It was not a position I chose or was ready for. When my cousin Bobby accurately dubbed me the matriarch, I refused the title. Now I am intentionally sharing our stories, and they are my gift to the next generations. Today, as I answered in an author’s site about what drove me to write, I realized again that my writing is a tribute to my family and other families. Can I suggest you tell your stories, too? Posted in Uncategorized and tagged Appalachia, Battle of Fredericsburg, Citadel, Frank Lloyd Wright, Greenville SC, Jessie James, Mother Teresa, Robin Hood, Savannah Anthology, SC Revolutionary War heroines. Bookmark the permalink. On our summer vacation trips, Daddy taught us lots of songs. “Do Lord” was one of those that we enjoyed singing and clapping our hands to. The melody and lyrics are simple, but it is one of those tapping-the-feet songs. There were times that we sang it at family reunions and in Sunday School. Unless you’re in a car, a person has to stand to sing, because sitting just won’t do. “Do Lord” is such a fun song. Adults also liked it; their smiles, hands, and feet proclaimed their enjoyment. John’s family used to sing it in church and on the porches as a family. In 1925 Garner Bros. released the first recording of this song. Johnny Cash made it famous. Even though an author isn’t clearly identified for this gospel song, it is attributed to Julia Ward Lowe, speaker, author, and promoter of women’s rights. “Do Lord” also falls into the category of a camp song. At camp, children sing songs that are fun, upbeat, harmonious, or inspiring. Most of all, the songs are easy to sing and remember. They sing folk songs; spirituals; patriotic songs; religious songs; fun, nonsense, novelty, action songs; and melodious (rounds, partner songs). Folk song writer, Pete Seegar, pronounced the importance of song with these comments. The floods in Kentucky, my dad’s home state, have shattered both homes and communities this week of July, 2015. Pictures of houses floating in flash floods have been terrifying. Acts of nature debilitate and destroy on one hand and give joy on the other; the weather is fickle. The regions of Appalachia have given us so many songs through the years: soulful melodies and lyrics that look backward and forward. With the inborn strength of preserving their culture, I know they will build again. I am sorry they are faced with another endurance test. 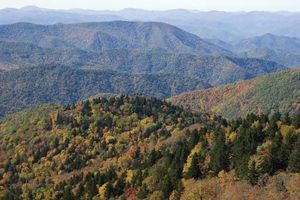 Posted in Uncategorized and tagged " "Kum Ba Yah, "Do Lord, "Julia Ward Howe, Appalachia, camp songs, Johnny Cash, Kentucky, songs. Bookmark the permalink.